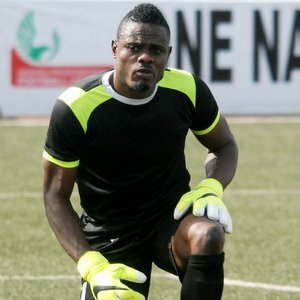 Enyimba goalkeeper, Theophilus Afelokhai is optimistic they can get all three points in Egypt against Zamalek on Saturday in Cairo. Afelokhai is one of the five Enyimba players who had to leave the camp of the NPFL All Star side on Friday to join up with their mates in Cairo ahead of the big game. “I haven’t lost hope or else I wouldn’t have left Spain to Egypt when I’m billed to start against Malaga but I’m leaving the camp here to go to Cairo because I believe it is possible. “Remember they beat us at home so we know we can also beat them at their home then beat Sundowns in the final game to qualify. “I know this and my colleague know it too so we are all optimistic,” AFelokhai said. The goalkeeper also described his experience in Spain with the NPFL All Stars side as a wonderful experience. “I learned a lot of things…from the way Valencia played to their organization were things I had to learn. It was something good and I am lucky to be among the team in Spain. “This is my first time in Spain and I must tell you I am taking a lot of things back to Nigeria with me. Things that will help my game in the future,” Afelokhai said.